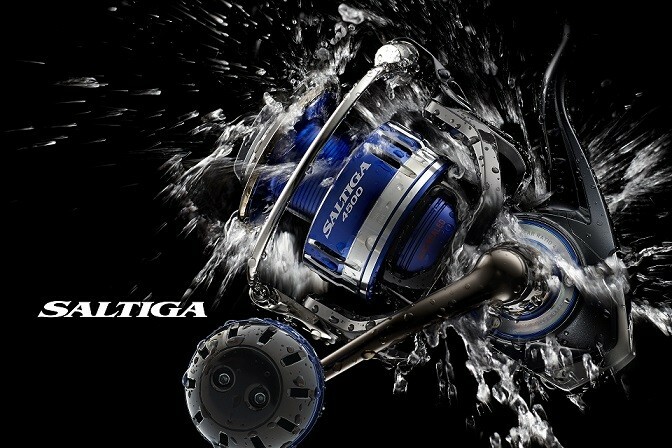 Daiwa Saltiga offshore spinning reel is the reel for durability and power. It is the reel to present rigs just in front of big fish, and catch them. It looks simple, but it employs the most advanced material and technologies to make spinning reel toughest and lasting. Magseal water preventing lubricating system is employed at main shaft and line roller. Magsealsed ball bearings hold handle shafts. 3500, 4000: Great for light tackle offshore jigging with 30-40lb braided lines. 3500H, 4000H: Great for offshore casting for mahi, skip jacks, yellowtail/kingfish, barra, small sail fish with 30-40lb braided lines. 4500, 5000: Great for deep jigging with 100-200gram metal jigs with 30-50lb braided lines. 4500H, 5000H: Great for offshore casting for large mahi, yellow tails, amber jacks, sail fish and etc with 30-50lb braided lines. 6500: Deep sea jigging model with 200-300gram metal jigs. It also serve great for marlines. Its 10 washer ultimate drag system help you land over 100kg marlines. 6500H: Black fin tuna model. 10 washer ultimate drag system stops the tuna. Serves great for blue marlines as well. Not stocked at shop. Shipped in a week when stocked at factory.